Much like anything else, not all swimming classes for kids are made the same. That doesn’t mean that there is any that is particularly one cut above the rest. What matters most is that you find a swimming school that is most suitable for your family needs. To help you find the right school and the right swimming class for your kid, here are 5 things to consider before signing up for a swimming class. You can start your kid from as young as 6 months old but you need to be clear on what you’ll achieve at each age. If you are mainly interested in building up water confidence, then 6 months till about 4 years old is great for this. 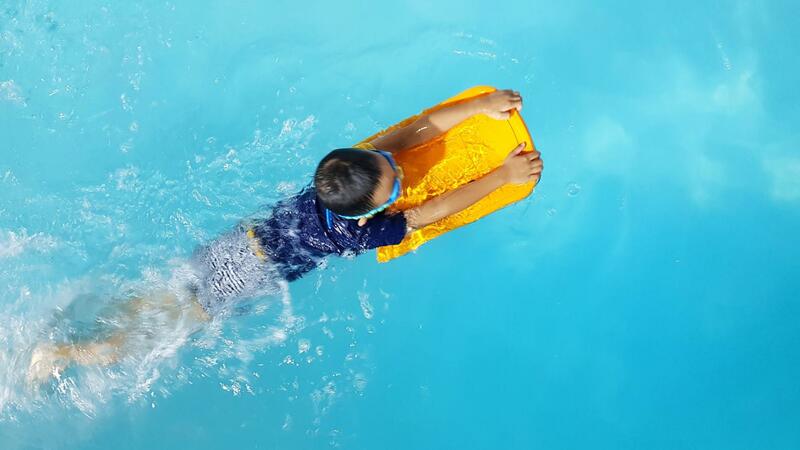 My 2.5 year old’s swim classes are all about having fun and feeling safe in the water, learning how to get up and down the pool safely, getting comfortable with submergence, basic kicking, how to blow bubbles, and so on. If you are interested in wanting your child to learn how to swim properly, then you can start at about 4 years old. 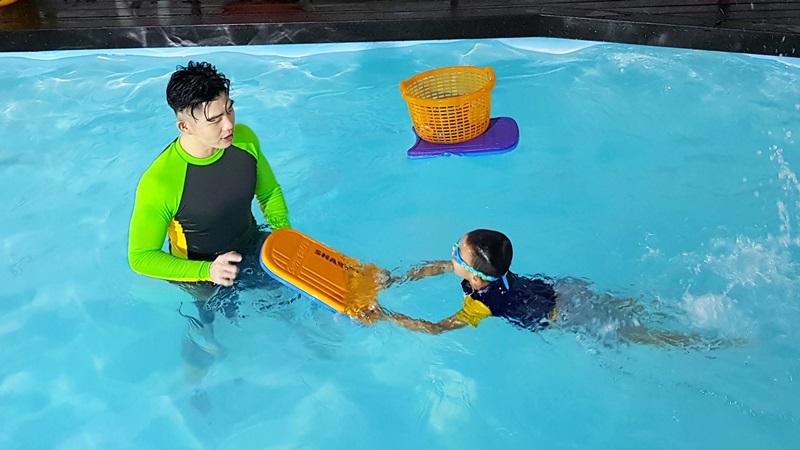 My 5 year old child is now taking proper swimming lessons and his lesson structure is very different from my 2.5 yr old baby’s swimming lesson. My 5 year old boy is now doing practice drills in his swimming class, going over the basics of kicking, arm action, breathing, and so on. Under his coach’s patience and persistence to help Daniel develop a good freestyle technique, his progress has been amazing. The environment which kids learn is very important. Schools provide a more structured and controlled environment for kids to learn in. When you’re using a shared public pool, there might be uncontrollable and unexpected elements like weather (when your child shivers, you must take him/her out of the pool), other fellow swimmers in the pool, the potential crowd, noise, and so on. From our experience, an indoor heated swimming pool has been a great way for my children to get the most out of each swimming lesson without interruptions. Plus, if your child is very young, you may also find it more convenient if the place you go to is sanitary (you’d want to see if the pool water is clean! 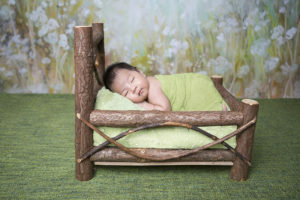 ), and has child-friendly facilities like baby changing tables, a safe & fun kids play area, bathtubs, hot water showers, and so on. Another important aspect of environment is the coach-student ratio. The more children there are in a class, the less personal attention your child will get. I don’t know about “industry practice” but just to share my experience at Aquabambinos, the maximum number of students per class is 5 + 1. 5 regular full time students and up to 1 additional student who is doing a make up class. Ask how full the classes are when you are choosing the day and time for the lesson. Weekday classes are definitely going to be less packed (which IMHO, is best if your schedule allows) and those are the best. You get maximum alone time with the coach!! :P Well, at least until more students join in! Learning from my 1st child’s progress in swimming classes over the years, I have learnt that the coach you engage will make a HUGE difference to how well your child will take to the sport. Regardless of the instructor’s certification and possibly vast experience, if he/she does not have the ability or personality to deliver the class in a fun and engaging manner, then your kid will not like the class, no matter what. You need to know your child’s personality and the kind of coach your child needs. Here’s my example. Daniel is a very fun-loving child who loses focus easily. He is willing to learn but only if it’s fun. He needs someone who is unafraid to be firm with him. However, he is also very stubborn and can shut completely if you are too firm on him. So his coach needs to be able to find the delicate balance between fun and firm. 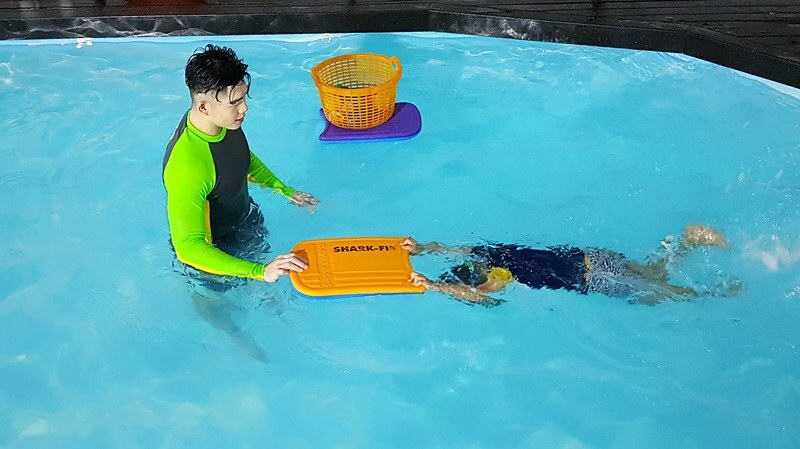 For him, Coach Daryl at Aquabambinos was perfect for him. Do check on what happens if it rains or if you miss a lesson! Different swim schools / swim coaches will have different policies. We love the one at Aquabambinos because they allow us to arrange for up to 2 make up lessons within the term and they even allocate 1 slot for each class on weekends for any student who may want to join in). There are some places that may be more stringent and may completely forfeit the class if you miss it. the cost of every swim lesson is not cheap (kids are so expensive these days!) so make sure you know the T&Cs of what happens if you miss a class. Some schools postpone lessons if heavy rain occurs within the first 15 minutes of the lesson while others give land lessons during wet weather. Whichever it is, either choose an establishment that has an indoor pool or, be aware of what ifs! Don’t just sign up without trying a swim school out. Ask if you can have a trial lesson. This will be useful for letting your child see if he/she responds well to a particular coach’s teaching style. That’s what we did with Aquabambinos. Both my sons went for a trial class and I gauged their responses during and after the class to determine if Aquabambinos are a good fit for them. Most, if not all, swim schools will charge for a trial class, but the cost will be credited back to you if you sign up with them. There are also schools that do not offer trials at all. Good thing you’re here because Aquabambinos is running a 50% promotion on 1 time trial class for new students – details below! The 5 questions most parents ask on choosing swimming classes for kids. Make sure to google for reviews and see what other moms have to say about their experience with the particular swimming school. They might just share something that could make or break your decision. If you don’t know where to start, you can START HERE. 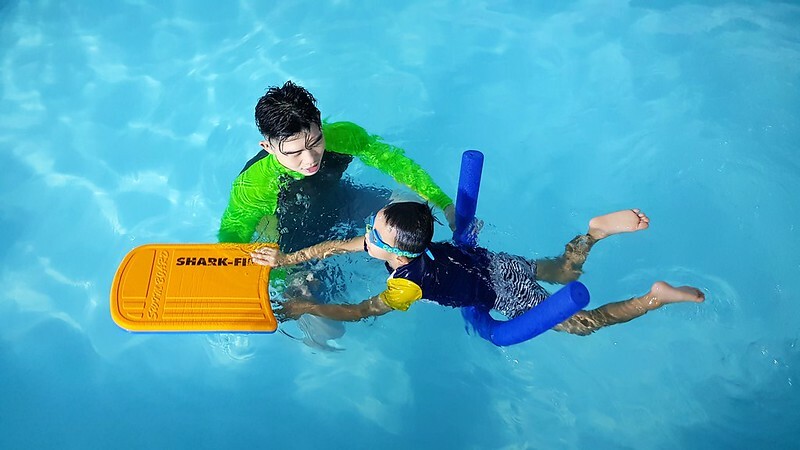 Get 50% off 1 swimming lesson for kids at AquaBambinos Swim School! Quote “JUANNBLOG” when you make a request for a trial class HERE. Usual price is $40 so after the 50% discount, you’ll only need to pay $20. Please note that you will receive a callback from Aquabambinos to schedule a suitable time. 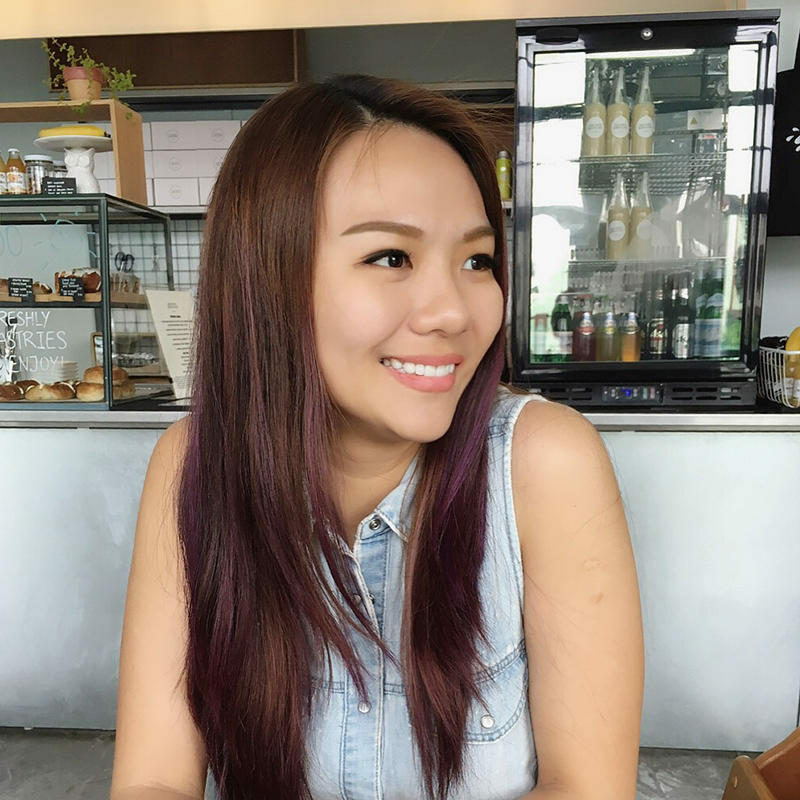 Classes on weekdays and classes held at their Yio Chu Kang branch are usually more readily available! Request a trial class here! Aquabambinos’ heated indoor swimming pools are located at Serangoon Gardens and at Yio Chu Kang area. Check out their website HERE.